Welcome you to the center of Aonang and enjoy the modern bar, Free Wifi, shopping and restaurants. 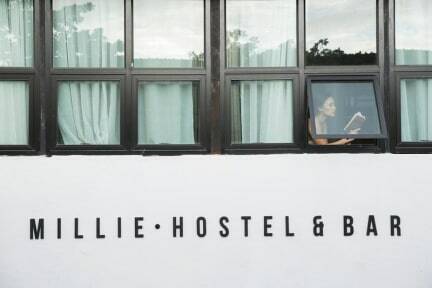 Milliehostel is just 10 steps from the beach which takes you to Railay beach, PP island, Hong island or Lanta island. And only 5-10 minutes walk to Aonang center point. Suitable for one person, two people, four people or big group 8 people. Getting Around: 30 minutes from Krabi international airport (stop at Aonang beach). We are a family run business with 15 years experience in guesthouse, restaurant and massage and beauty business in Krabi. 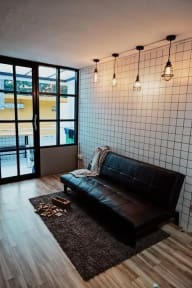 Millie is a new hip style guesthouse for the young traveller looking for a clean, safe and upscale rooms. We hope that you will enjoy your stay and make full use of our facilities. 4. Payment upon arrival by cash and Card. Credit card +3% surcharge. 7. Reception working hours 07:00-23:00.